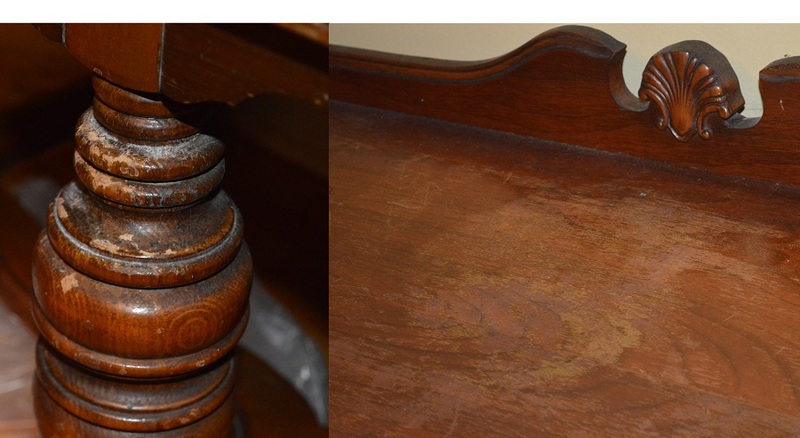 This is a wonderful example of how Tried & True can be used to repair damaged antique furniture, making the wood look revitalized and renewed. 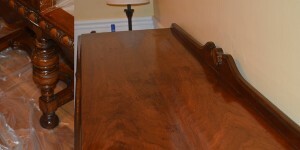 Matt sent us some photos of an antique bureau that he repaired using Tried & True Varnish Oil. The bureau had been through quite a lot over years, from dog bites on the leg to water damage on the top surface. Because the Varnish Oil contains a pine sap resin, it is designed to get harder and more durable as it ages. This makes it the perfect finish to protect against scratches and nicks. It will leave the wood feeling silky smooth while highlighting the natural grains of the wood. The finish is also very easy to repair in the future. Simply use 0000 steel wool on the damaged area, then spot treat it with another coat of varnish oil. This will help keep the wood looking beautiful for years!